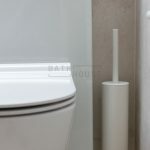 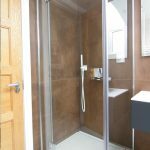 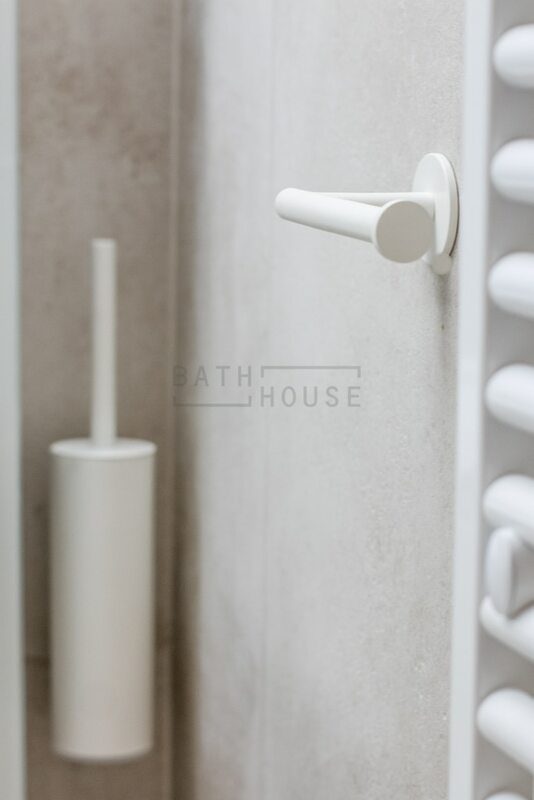 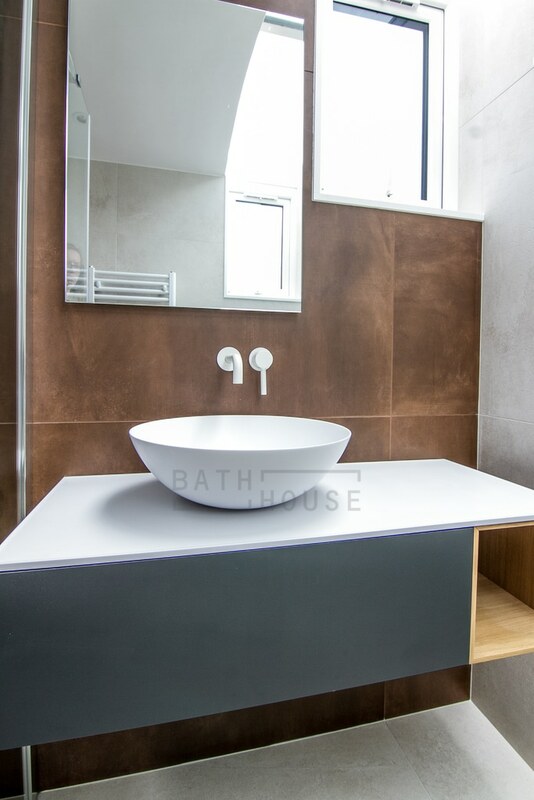 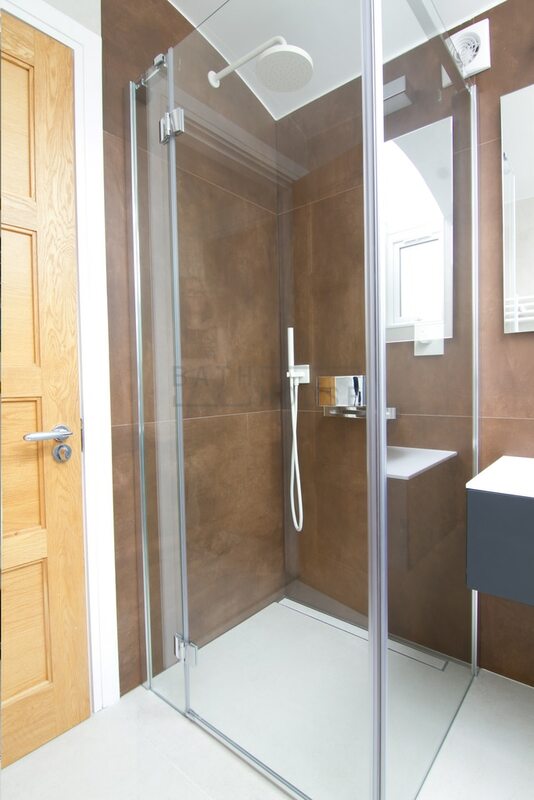 Bathroom with wet room shower designed, supplied & installed by Bath House. 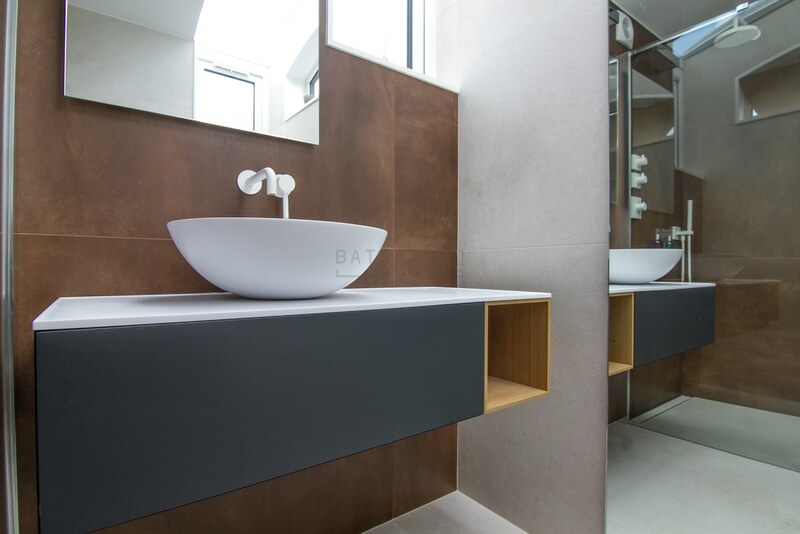 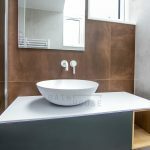 Furniture & Basin: Falper Quattro Zero. 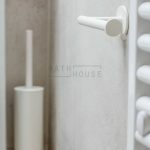 Brassware: Zucchetti Pan in Matt White. 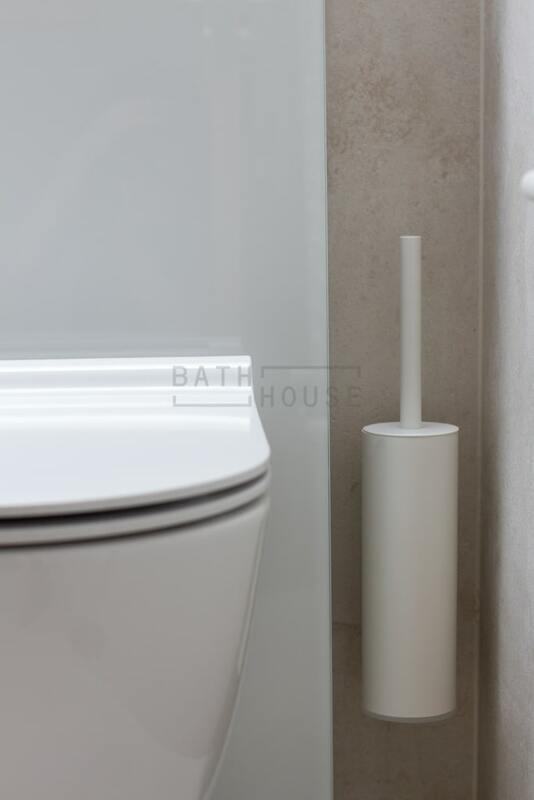 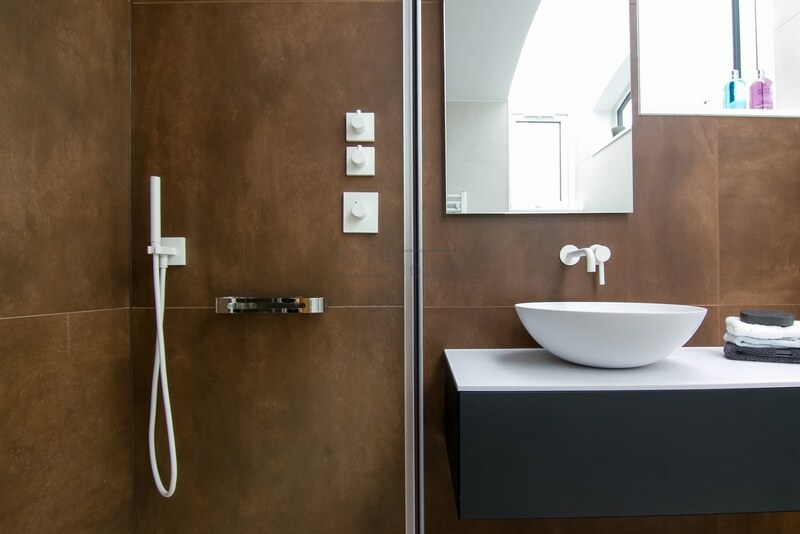 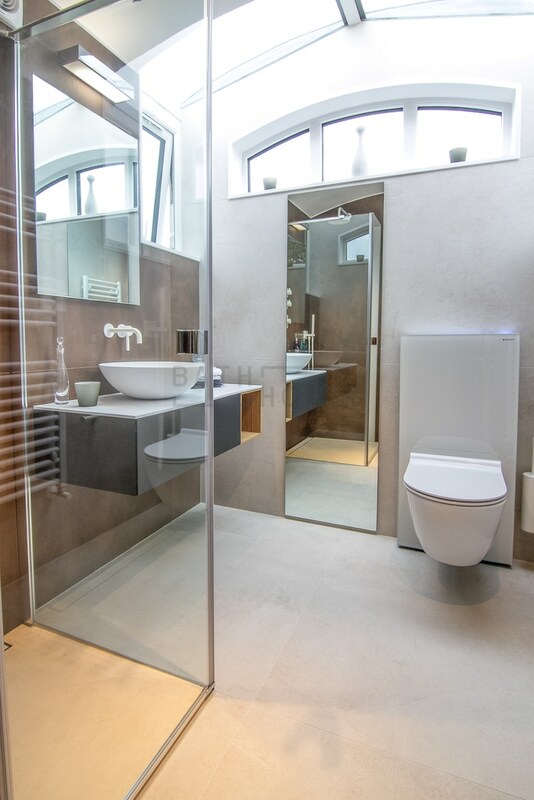 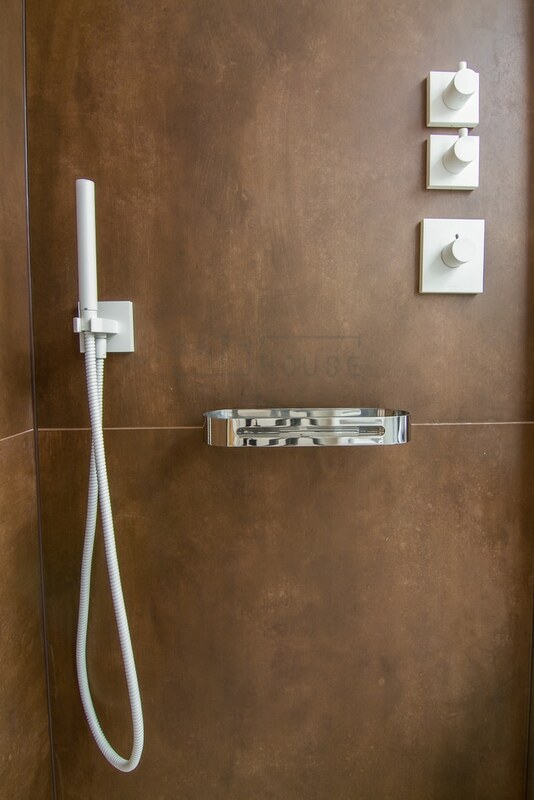 WC: Catalano Sfera wall hung WC & Geberit Monolith frame & cistern, finished in white. 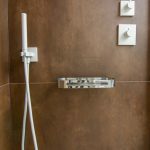 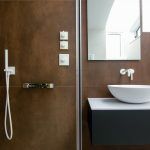 Tiles: Casalgrande Padana – Steeltech Corten / Pietre di Sardegna Porto Rotondo.